Keynotes by world-class leaders, up to 43 CE/CME/CNE hrs. and so much more! This training gives you hands-on practice by participating in a live constellation. ​After quick review of the Family Energetics integration of EP with Systemic Constellations, we will explain, set up, and carry out together a live, EP-enhanced constellation. It will focus on healing some of the impacts of important historical and racial traumas currently affecting the United States. Explain 4 scales of subconscious human collectives and explain the way in which trauma's impact on them is self-similar. Because I need to get to the main stage and set up for singing right afterwards, this session will begin strictly on time. ​Michael Reddy, PhD, CPC, is an author, healer, shaman, certified coach, and leader in the US in integrating EP with Family Constellations. He trains practitioners in person and online, and helps clients recover from chronic emotional or physical suffering rooted in personal and ancestral trauma. 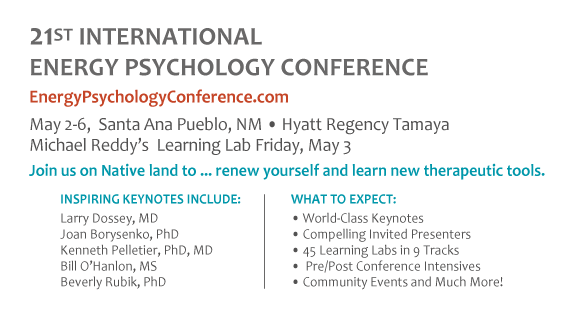 For assistance, contact Leslie Primavera | admin@energypsych.org | 619-861-2237. Click below for learning lab information.